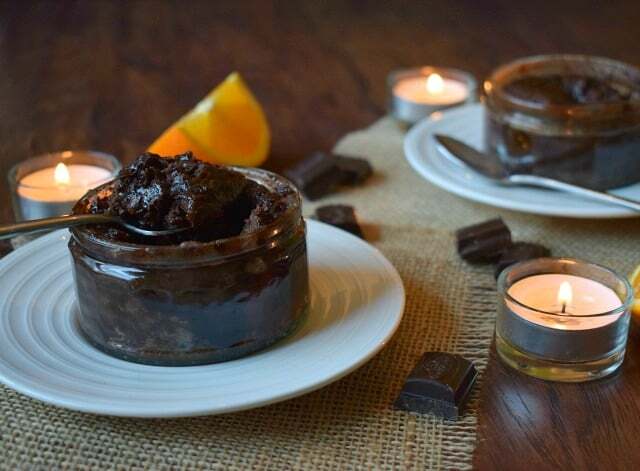 This easy to make chocolate orange dessert is completely luxurious! 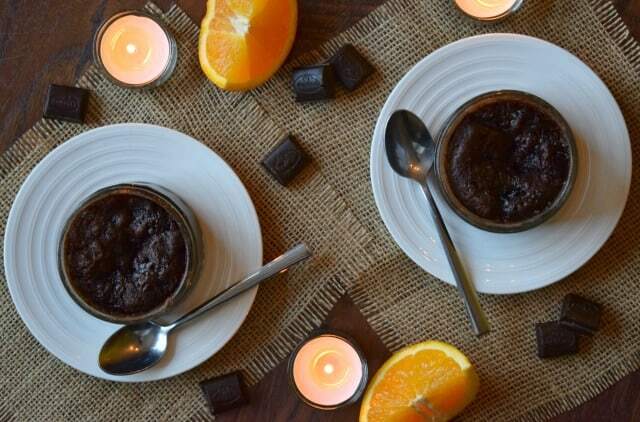 It would be perfect for date night, or those ocassions when you feel the need for a delicious chocolate pudding. This recipe is vegan friendly, meaning it is also suitable for those who need to avoid dairy and / or eggs. It is also gluten free. If you’re planning a romantic meal for you and your special somebody, then, regardless of what you have for your main course, you’re going to need an indulgent and delicious dessert. Surely that means a chocolate dessert. Chocolate desserts, to me at least, are a must for Valentine’s Day. They’re also perfect for date night, birthdays, when entertaining friends and family, and quite possibly every other day which ends in a ‘y’! This dessert is both gluten free and vegan friendly. 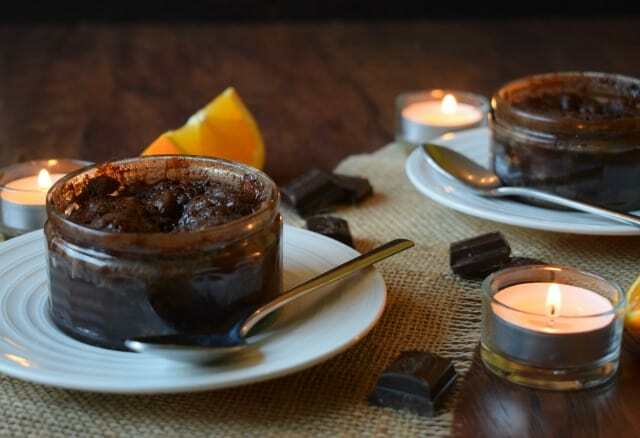 Now, although it is free of ingredients like butter, cream, milk and eggs which we ordinarily rely on to bring a certain amount of flavour to a recipe, this Rich Chocolate Orange Dessert is far from being flavour free. It is beautifully rich and decedent, mousse-y and yet almost brownie like, with a delicious flavour combination of chocolate orange. It is super easy to make and yet luxurious enough to be the perfect dessert recipe for Valentine’s Day….or in fact any other occasion! 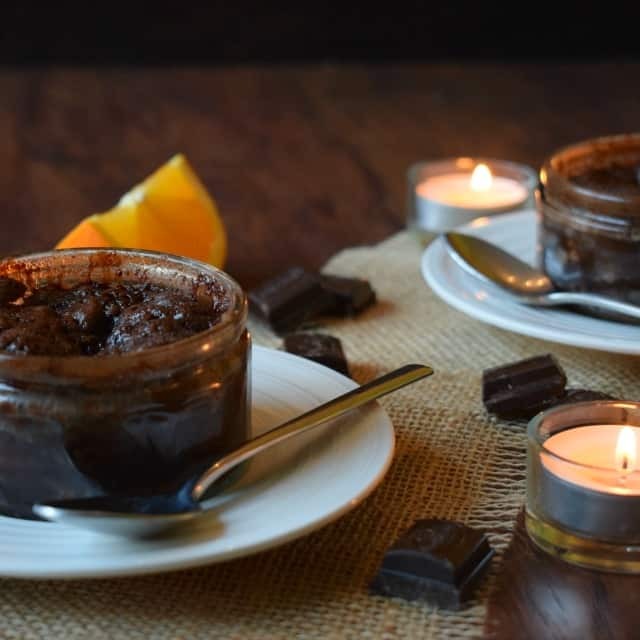 These individual chocolate orange desserts were inspired by the amazing looking Vegan Self Saucing Chocolate Pudding shared by the lovely Nico at YumSome. Her large family sized chocolate pudding looked so beautifully rich and indulgent, and sounded a doddle to make, I instantly knew I just had to give it a try with the flax seeds I had left over from making our Vegan Chocolate & Cherry Cupcakes. zest, though a little orange extract would work equally as well. The quantities I used were sufficient for four portions. The surplus two desserts would ordinarily have been shared with my parents, but this vegan and gluten free chocolate orange dessert was so good, it didn’t last long enough to make its way to them! 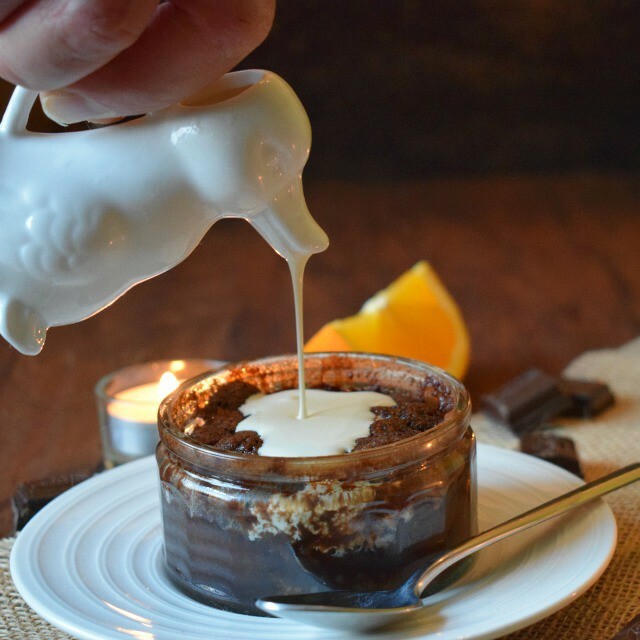 Although this dessert rises beautifully during the bake (so don’t be tempted to overfill those dinky ramekin dishes!) I have to confess, and I’m sure you’ve noticed with the images, that this dessert sank a little within a few minutes of it being removed from the oven. Although it looses some of its volume, don’t worry it’s certainly doesn’t loose any of its flavour! An easy vegan & gluten free individual chocolate dessert which is rich and full of flavour. 1. Pre-heat the oven to 170℃ / 160℃ Fan / 340℉ Gas 3.2. Prepare the ramekins. Grease the inside of each of the dessert moulds.3. Make the batter. Place the buckwheat flour, baking powder, salt, ground flax seed, sugar (55g) and cocoa powder (15g) into a bowl. Add the grated orange zest. Mix together to combine. Add the melted vegan butter and chocolate milk. Mix together thoroughly, aiming to ensure there are no pockets of powder remaining. 4. Divide between the ramekins. Divide the mixture between the four ramekins. Use the back of a teaspoon to spread it out. Even though there will seem very little in each ramekin don’t be tempted to make anymore of the batter as it will rise up during the bake.5. Sprinkle with sugar and cocoa. Place the sugar (75g) and cocoa powder (12g) into a bowl. Mix together well. 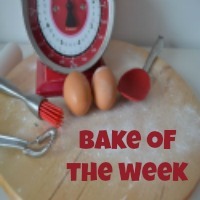 Use a teaspoon to sprinkle the sugary mixture evenly over the top of the batter. 6. Top with boiling water. Place the ramekins into a baking tray. Slowly pour the boiling water over the top of the desserts. Pouring the water over the over the back of a dessert spoon will prevent the water disturbing the pudding batter overly.7. Bake. Place the baking tray, housing the ramekins, into the centre of the oven and bake for 18 – 20 minutes. These chocolate desserts will rise substantially.8. Enjoy! Either serve warm or cold with your preferred vegan cream, ice cream or simply on its own. instance rice chocolate milk, soya chocolate milk. Wow, I love chocolate and orange. Your little chocolate pots look delicious Angela – I could just eat one now! I really must try baking with flax seeds, I've just bought some for my granola mix. Ooh do, they're amazing to bake withe Sarah! you so had me at chocolate and orange Angela – I love this flavour combo. This little pots look like heaven in a bowl. mmmm and pouring that cream into them – naughty but oh so nice! Thankyou Rebecca, they were absolutely lush if i do say so myself! These do look amazing Angela and I would be tempted to polish them all off myself too! My husband, like Eb's, is also not keen on chocolate and orange together. Unfortunately we have completely different tastes in desserts so whenever I make something sweet it is either something only one of us really loves! Aw what a shame Corina. I have to admit that Mr E isn't too big on desserts too. When we eat out he'll invariably just have icecream or even order something on the pretence it's for him when really he ends up giving it to me!